A crown is a tooth-shaped cap that’s placed over the tooth to restore its shape and size, strength or improve its appearance. A crown may be needed to protect a weakened tooth from breaking, or to hold together parts of a cracked tooth, to restore a broken tooth or a tooth that has been severely worn down, or the replace old, failing restorations or fillings. 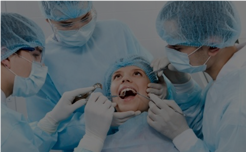 Our same day crowns provide a beautiful looking, single – visit restoration. With its enamel-like material, our same day crowns look and feel like your natural teeth. As with most CEREC restorations it can also be done in one visit and avoid the impressions, temporary crown and return visit. Why are CEREC Restorations the best option for me? CEREC porcelain restorations are so natural-looking and feeling; you may even forget you don’t have a real tooth. The esthetic of the restorations is phenomenal. Dr. Markowitz can duplicate the original anatomy and color seamlessly. What can CEREC Restorations can do? How long do CEREC Restorations take? 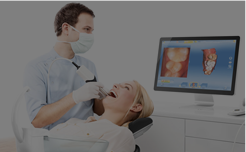 Dr. Markowitz has the ability and technique to create beautiful, long-lasting CEREC restorations in one single visit for most restorations. Reason #1: To cover and protect a tooth that has been weakened, typically from tooth decay. Reason #2: To repair a severely worn down or broken tooth. Reason #3: To stabilize sections of a cracked tooth. Reason #4: To cover and strengthen a tooth that has a large filling and very little tooth structure remaining. Reason #5: To prevent a tooth from breaking after a root canal. Reason #6: To help keep a dental bridge in place. Reason #7: To improve the appearance of a misshapen or severely discolored tooth. Reason #8: To cover a dental implant. If you need same day crowns in Boca Raton, we can help. 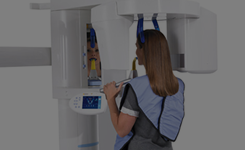 Thanks to CEREC technology, we can provide you with customized dental crowns in a single appointment. 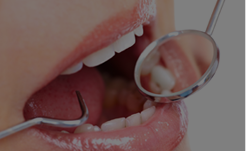 Contact our experienced dental team at Great Boca Smiles to learn more today!